I am happy to sit down with you and discuss in detail any requirements for your guitar. (can do daytime, evening and weekend appointments). Refret with Setup: £POA please call me for a quote. Refretting is my specialty, I can do stainless Steel frets too. Remove Old Frets, Install New Frets, Fret Dress and complete set up (also partial refretting). All done by hand and to your specifications. 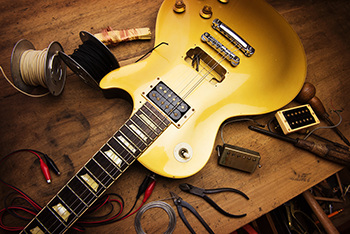 Guitar Repair Price List, many items I cannot list so please call me for a quote. Pop it round and I will take a look at it. Level, crown and polish all frets. Thanks for checking me out.